Wittenberg is ideally located at the intersection of Hwy 45 and Wisconsin State Hwy 29 which has an express status. 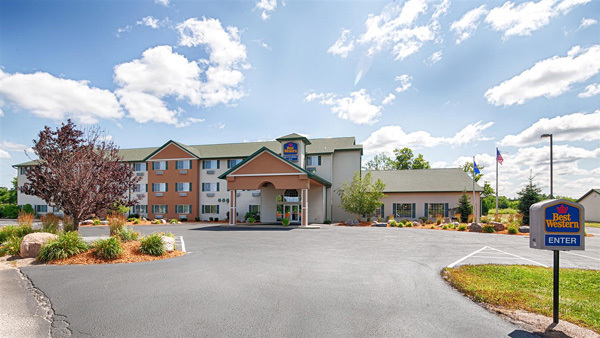 We are in the heart of Central Wisconsin within minutes of the Wisconsin Valley and the Fox Valley with easy on and off access to the highways. Due to our location in the state and highway access, it is only natural for us to promote business growth. The Wittenberg Area Development Corporation was founded. The main focus was to bring businesses to the Wittenberg area and help the community grow. There are two business parks located in Wittenberg. They are located near each other with one being on the south side of Wisconsin State Hwy 29 and the other on the north side. The Village of Wittenberg Business Park is ready for occupancy. The Business Park is 72 acres with the front part of the Business Park, approximately 18 acres, ready for immediate development. All utilities are in place such as fiber optics, cable, water, and sewer, gas and electric. Curb and gutter has been installed and some roads have been paved. Great location for businesses that need to be centrally located within Wisconsin. Only 1 hour from Green Bay, 2.5 hours from Milwaukee, 2.5 hours from Madison and 3 hours from Eau Claire. Easy access to major highways. HWY 29/45 within .25 miles from the Business Park entrance. Land prices are very reasonable, with credits available to offset the price! We have favorable tax rates. Our local Village and School District have modest tax rates. This means more money in your pocket and/or more funds available for your building project. Although lots are plotted on the business park map, they are just ideas that could be used. None of the lots have been surveyed; therefore a developer can determine what will work best for a proposed development. We have lots available. Please call 715-881-2111 to inquire about lot prices, zoning & building information.